A full football fixture card can now be played after the stand off between match officials in Lewis and Harris and Lochs Football Club finally ended. 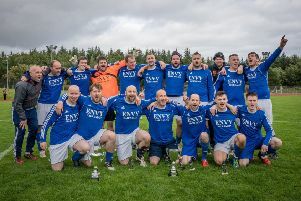 Referees in Lewis and Harris had refused to officiate any matches involving Lochs FC due to an off the field incident which saw a player registered with the club charged with assaulting a referee – although the incident was dealt with by Police and was reported not to be football related. 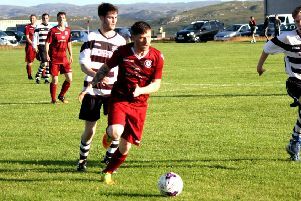 As a result Lochs saw their scheduled league match with Carloway postponed last week while the weekend’s Eilean an Fhraoich Cup final was also postponed. The player in question accepted a fine of £500 at Stornoway Sheriff Court for the incident and it was no longer a police matter, but with the referees refusing to officiate the matches Lochs’ fixtures ground to a halt. But on Friday the player wrote a letter to the Lewis and Harris Football Association and made himself unavailable for selection for Lochs FC until the matter is resolved, which has seen the referees now decide to take on matches involving the club again. A statement from the Lewis and Harris Football Association (LHFA) issued to the Gazette this week confirmed all matches can now resume as normal with the player stepping back from football, for the time being, at least. The Association commented: “The LHFA can confirm that the recent situation where referees were refusing to referee matches has now been resolved. It comes after a dramatic week in local football when an initial statement released by the LHFA on social media detailed their stance in which they revealed their referees had made a decision not to referee any Lochs FC match with the player until the matter was resolved. Lochs FC had also held an emergency meeting last week and had requested meetings in a bid to resolve the issues. But now the spotlight can return to on the field action, where the race for the Lewis and Harris League title is hotting up and Lochs are still in the hunt for the league title, where they are chasing leaders Point, but are also in the Eilean an Fhraoich Cup final - which has been rescheduled for August 24th - and also the Moldova Lewis Cup semi-finals.